Actively engaging the communities of the Palouse in the lifestyle of safe and healthy cycling. We carry Kona, Raleigh, Felt, Giant, and Redline; our mechanics have over forty years combined wrenching experience and hold various certifications. We also deal in used bikes, conduct group rides, and offer mini clinics. In the winter we supply hockey equipment. 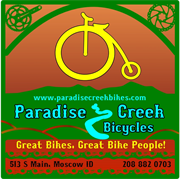 Do you own Paradise Creek Bicycles? Due to the unique way that the eBusinessPages Business Directory is structured a Premium + Verified Listing is the most powerful way to get more clients to contact Paradise Creek Bicycles. Not only will your listing be more noticeable and more trustworthy, it will also be displayed more prominently in our category (Sporting Goods and Bicycle Shops and Parent Categories) and location (Moscow, ID and USA Wide) listings. 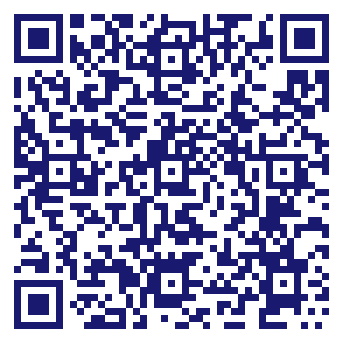 Paradise Creek Bicycles will be displayed in your competitor's listings while no ads will be shown in your own listing. Starting at $2.78 for a Premium Verified Listing, there is every reason to give Paradise Creek Bicycles the eBusinessPages Premium treatment today.